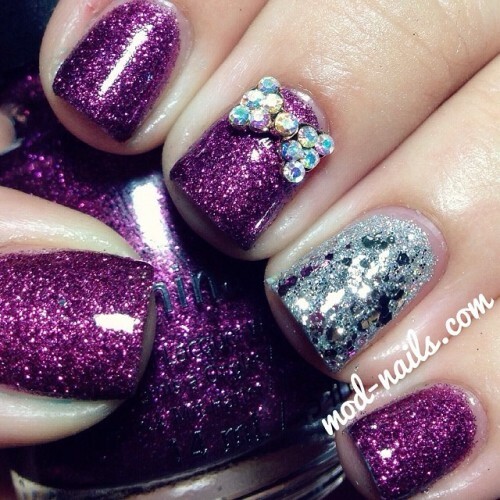 I love the glitters that China Glaze comes out with during the holidays! They're always so pretty and opaque in just a few coats. This look features China Glaze's "Put A Bow On It" from the Holiglaze collection. China Glaze's "Put A Bow On It"
Ring finger is China Glaze's "Glistening Snow"
You can grab all your favorite OPIs and China Glazes plus more at HB Beauty Bar! Don't forget to use my code "MODNAILS" for 10% off!